Good one. 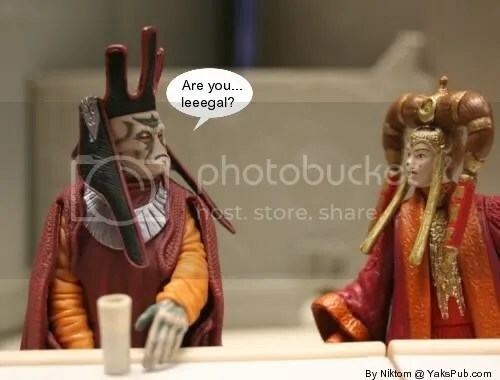 I wonder if Palps will make it legal, considering Padmes what 14 in TPM? The $&@! are you talking about?!?! I think someone hacked into Villgore’s account.